This is part two of the Poligo writing guide. 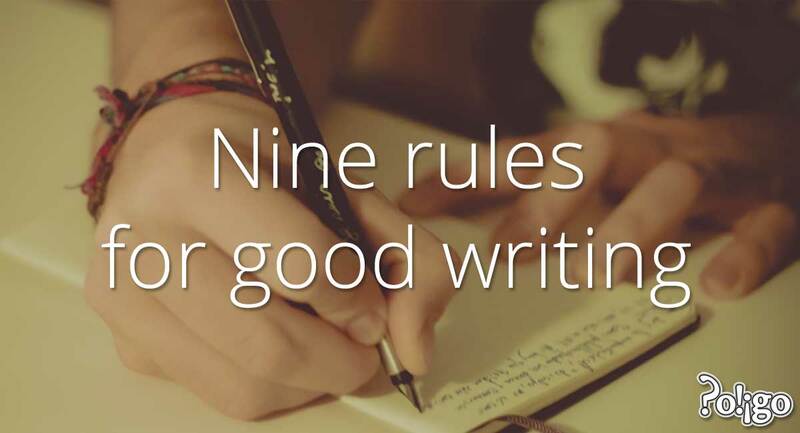 In the last part, I talked about what is good writing, and I said there is no single rule for good writing. This point is important also because of it will help you use and understand this guide. 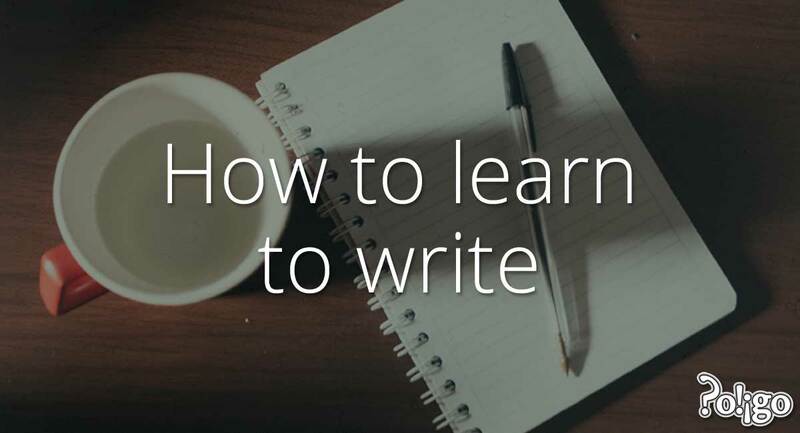 There are very many ways of writing, and this guide will give you general ideas and suggestions for ways to improve and develop your own writing style. However, we can give you some general advice that will help you write better in English. Some of this advice may not apply to all types of writing, but you should think about all of these ideas as you write. Give evidence: Support what you say with stories, numbers or facts. Use examples, information and data to tell me why you think what you think. Put another way, don’t just tell me, show me. Explain: Writing that does not explain and communicate is bad writing. 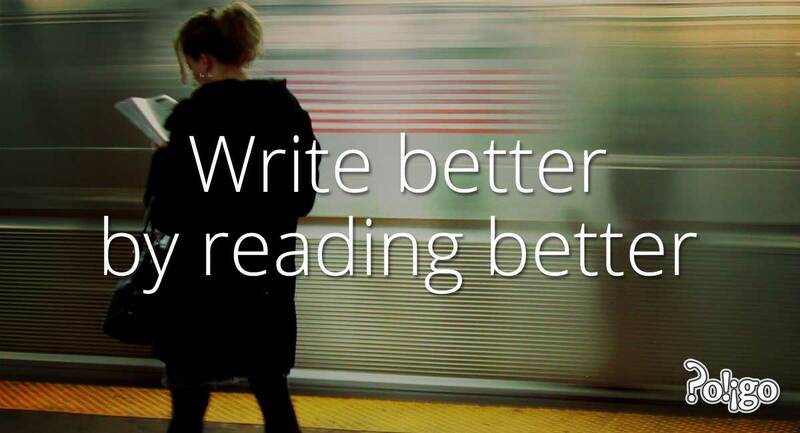 Teach the reader your message step-by-step. Tell the whole story: There are two sides to every story. Make sure you writing talks about all sides—not just one. Practice: Writing well is a skill you can learn. It’s not a talent or a gift. Keep trying and you will get better and better. Be logical: Each sentence should flow into the next. Each paragraph should link to the next. There should be no jumps. Good writing has good structure, and each point is supported by the points before it. Plan: Think about what you are going to say. What is the point you are trying to make? Just like you need a plan to build a house, you need a plan to build a story. Make it simple: But not too simple. Your writing should be clear and easy to understand, and for that your thinking must be clear. Just imagine that your reader knows nothing, but don’t assume your reader is stupid. These rules are just a starting point, and so is this guide to writing in English. You must use the ideas in this guide to practice your own writing. Pay close attention to the customized feedback you get from your teachers. It a valuable source of point-by-point advice on how to improve your own writing technique. In the next part, I will tell you how to learn to write. 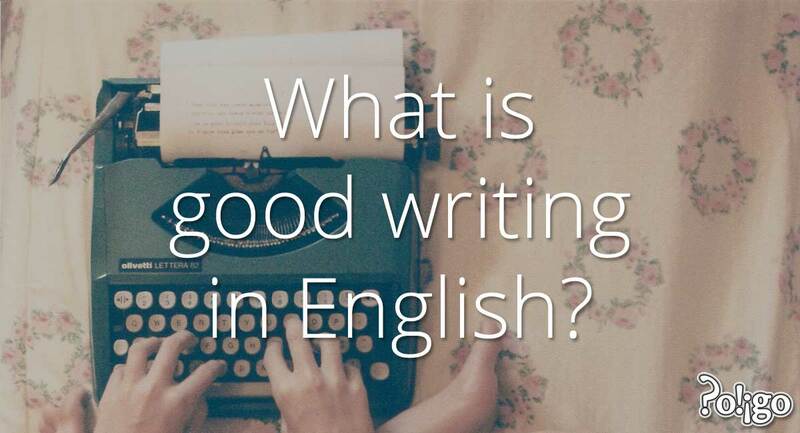 What is good writing in English? This is an introduction to the Poligo Guide to Writing in English. It will teach you how to write well. We start by thinking about what good writing is.